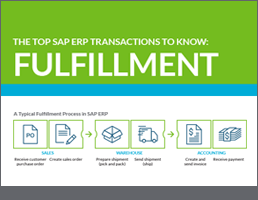 Our ASUG U instructors are often asked: “What’s the most important SAP transaction to know?” Most people want the transaction that’s “the best,” “the most used,” or “the one that’s most helpful to everyone.” The short answer? It depends on what you need to achieve for your company’s business processes. 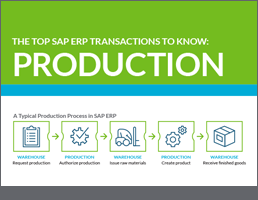 To help, we’ve created charts featuring some common codes you’ll need for the key business processes you manage in your SAP ERP or ECC systems. Of course, the best way to learn these transactions is through hands-on instruction. 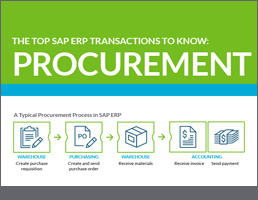 Join us for an ASUG U SAP ERP 101 workshop near you. Choose the charts you’d like to download and make your day-to-day work easier.